A really quiet voice said "young lady, you're so beautiful". I turned around to find an older man, slumped over his cane. Despite sweating enough water to feed the sea, I fought the urge to complain and politely answered, "Aww Thanks". I wasn't sure if my face read "I don't believe you" or because I legit felt I was two seconds from a heat stroke, but he reiterated "No, seriously you're beautiful because you took a moment to smile". He indicated that Smiling doesn't cost a thing but it's worth more than money can buy. He encouraged me to keep smiling because I never know who made need it. With that said, I was captivated at how something as small as a smile could make such an impact. I often grow frustrated trying to figure out an outfit or a caption. Insomuch, I get lost in my goal. 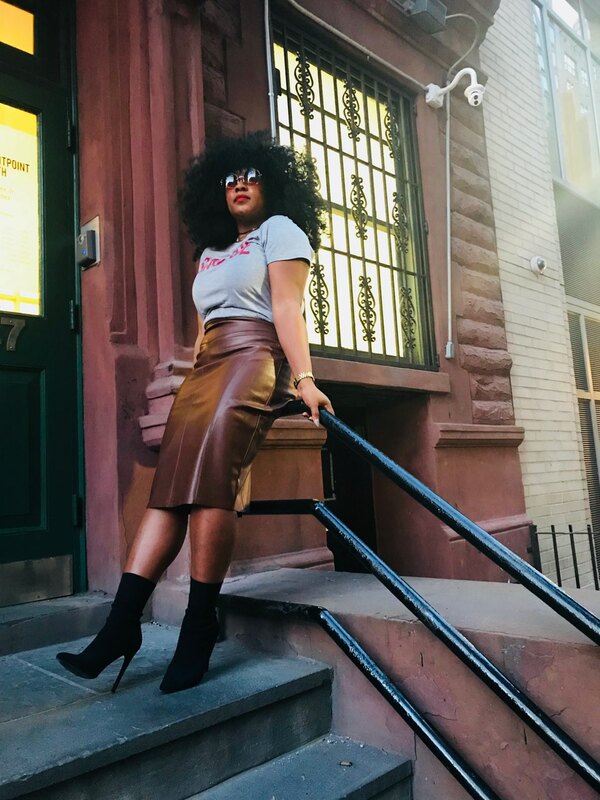 As The Stylish Ego, it is my goal to empower women to take control of their insecurities. 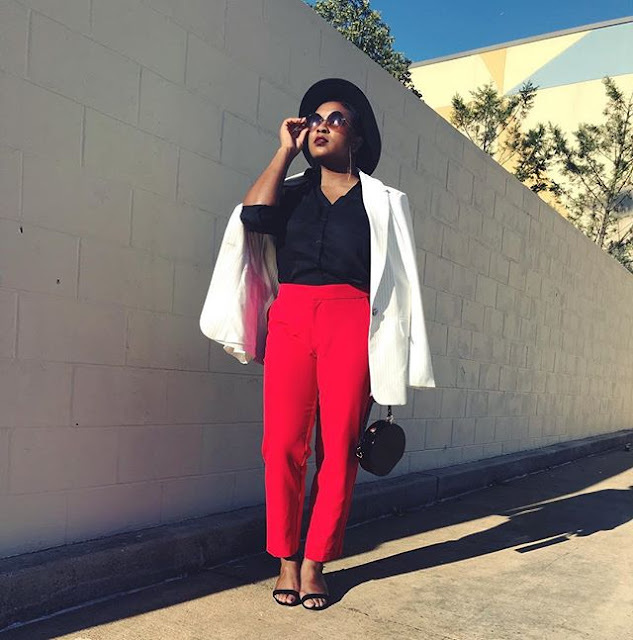 By implementing Style tips into their daily routine, it is my prayer that women walk away feeling confident about who they are and not to worry about how they look. This moment reminded me of my very purpose and I hope it inspire you to be your own goals. Find inspiration in yourself and realize that you have the ability to make an impact that could potentially change lives. I encourage you today to push yourself and don't give up!! Comment below and tell me what are your goals? While in a dressing room next to me, a kid yells "mom, you're so beautiful". The mom replied "aww thanks hun, but it doesn't really fit all that well". What the kid said next, I couldn't help but be impressed. "But you wear dad's t-shirts all the time...they don't fit and he says you're beautiful." Like this mom, sometimes I find myself, really liking an item but not getting it because I get so caught up in how I feel it "should fit". 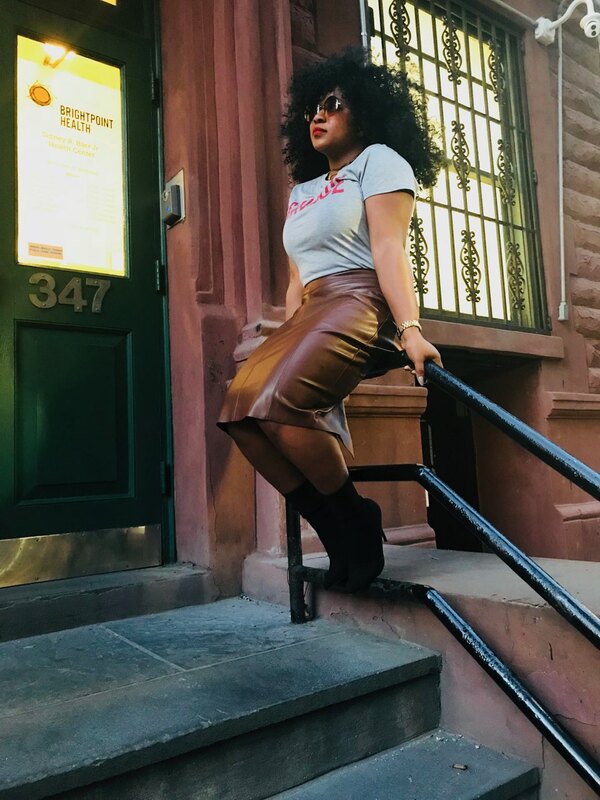 But this experience was a kind reminder that personal style is a feature that makes individuality exists! In fact, I'm inspired to reveal a new feature of The Stylish Ego. Anddddddd... I introduce to you "THE STYLE EDIT". The Style Edit is the who, what, when and how to wear and do fashion. 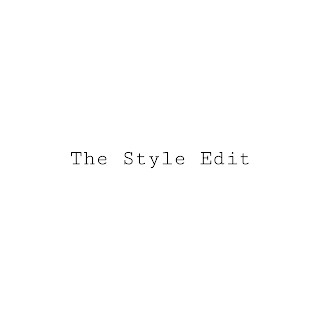 The Style Edit features content that focuses on the latest trends, DIY's, Style Guides, how-to's and so much more! And guess what?!!! You'll get a sneak peak soon! Three Reasons Why You Should Throw Away Your Traditional Watch! As a style blogger, my personal style constantly evolves. Trust me; I have come a long way. Farewell to the days of brightly colored accessories that matched my elaborate looks. Nowadays you’ll find me wearing pieces that transition with time. 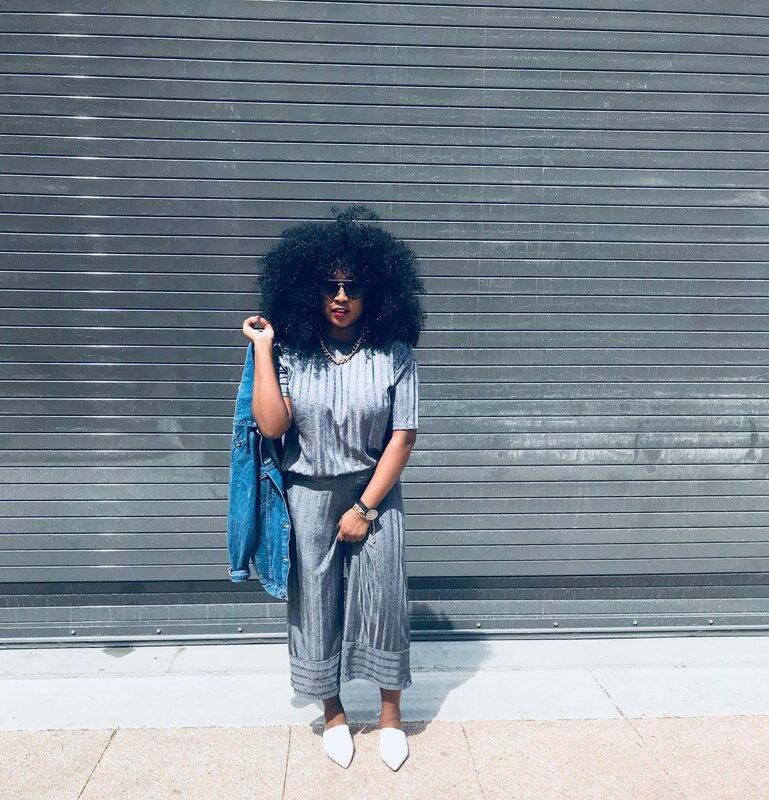 In fact, when I don’t feel like wearing jewelry at all, I opt for the perfect yet simple piece that pulls my entire outfit together—a Classic Wristwatch. Now, I’m not talking about an ordinary metal watch either. 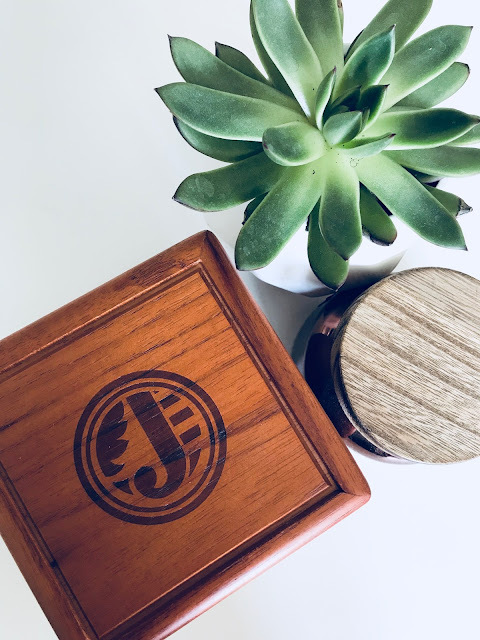 I’m talking about an all-sustainable luxury wooden watch by JORD that I’m obsessed with. 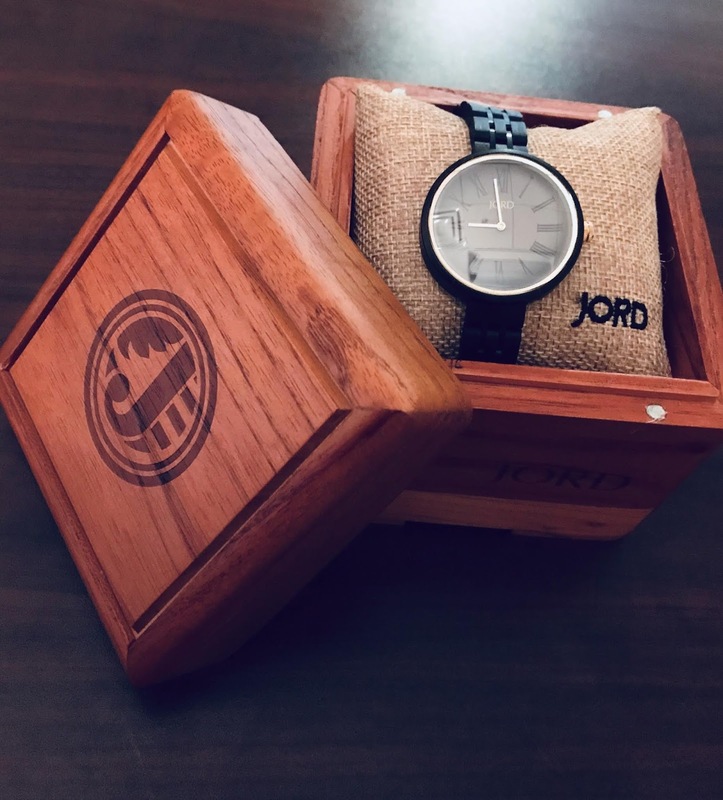 JORD features a variety of intelligently designed men and women timepieces, crafted beautifully from natural wood! What I love most about my Cassia Series is its intricate details that add just enough personality without taking away from its natural and nature inspired design. A traditional watch is okay, but not everything goes with silver and rose gold lol. That’s why JORD is perfect for the minimalist who understands that simple is not boring. JORD is the perfect way to elevate a look with a small attention to detail. I’m guilty of purchasing items that are worn only once-or not at all. It’s a hassle trying to force myself to find a way to wear seasonal pieces. 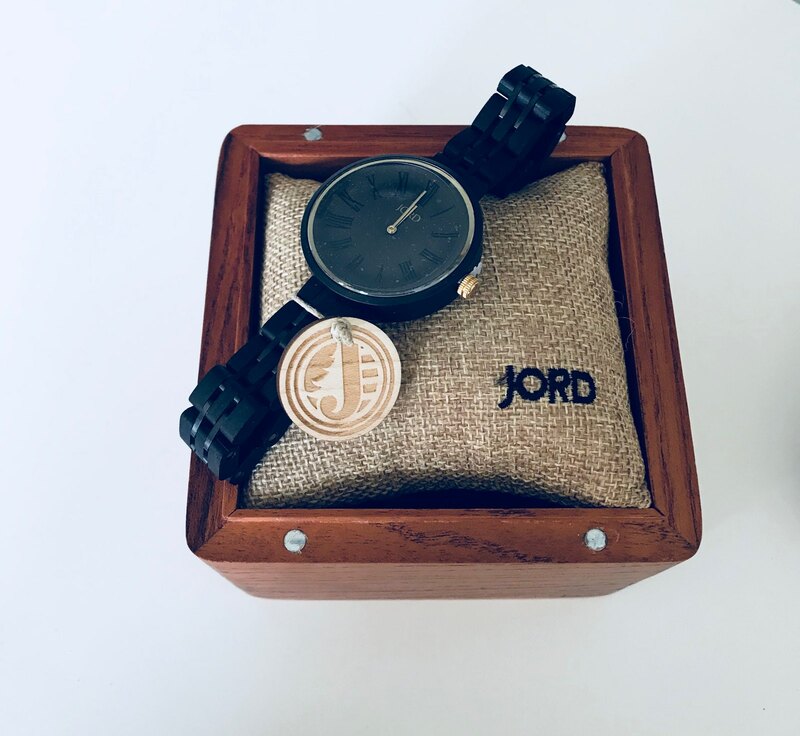 Unlike any other accessories, JORD seeks to deliver timepieces that moves with you. JORD is more so an experience. Literally, it’s perfect for any lifestyle. Therefore, if you’re looking for a watch that easily transitions from day to night, from work to play, or even out for an adventure, JORD is the perfect watch. I’ve broken and have broken up with so many watches over a lifetime. Whether the clasp no longer closes, the metal diminished, or the watch simply doesn’t work altogether, I’ve had my share of watches that quite frankly were not made with love. Artists who carefully assembled a solid and durable watch on the other hand, designed JORD. JORD watches like my Cassia, were meant to last. Its wooden band, metal core and links, not to mention the double locking clasp, helps secure the perfect fit on my wrist. I can go on and on about how incredible JORD Wood Watches are. However, the best way for you to be convinced is if you experience JORD yourself! I’ve partnered with JORD to bring you an awesome giveaway! The winner will receive a $100 gift certificate! Even better, everyone who enters walks away with $25 off! Just CLICK HERE to enter the giveaway. You have until May 27, 2018 and JORD will notify the winner!!! Girl I Can't Believe I Body Shamed Myself! ... the blasts of car horns screamed louder. Naturally I grow nervous and bashful and I start body shaming myself. I felt judged. I felt overwhelmed with emotion. Despite this idea of wanting to feel "savage"or "unapologetic", instead I felt so insecure and uncertain. 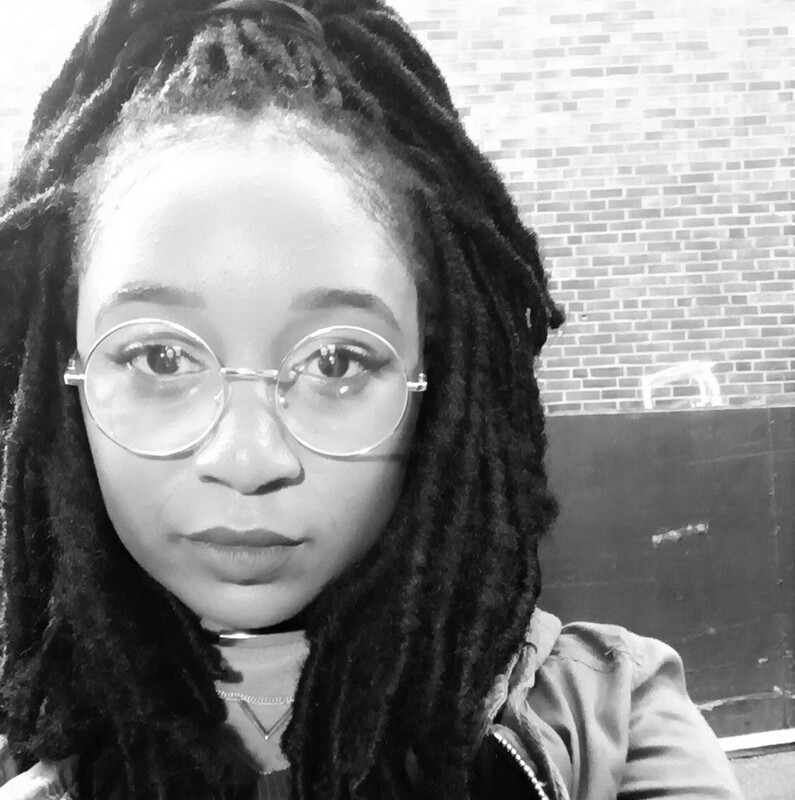 Even my posture changed, my focus shifted and my fear convinced me to just give up. 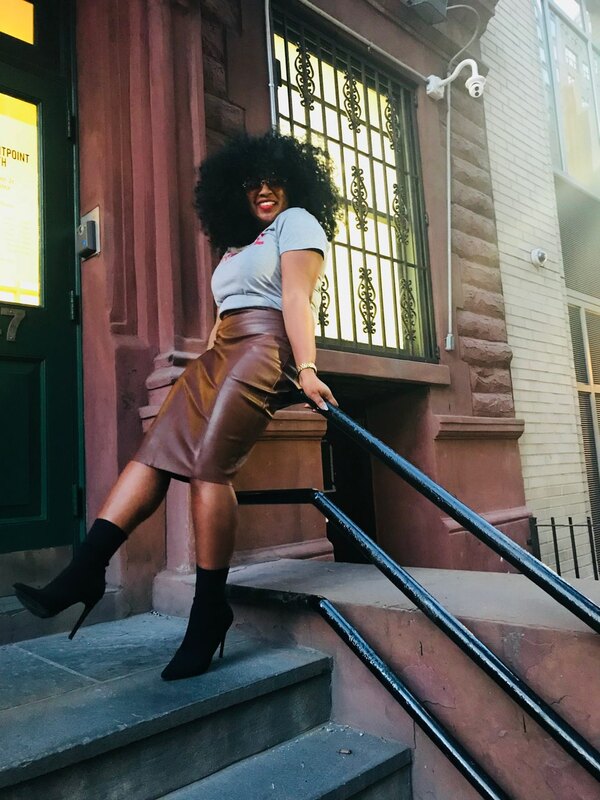 Thank God for such an amazing friend, who noticed immediately the shift in my confidence and redirected my negative thoughts into positive energy. She minded me of my personal goals and how an audience shouldn't make me second guess anything I'm working toward. And she couldn't have been sooooo right. So when I returned back to my hotel, I begin looking through the photos. I could see for myself how with time, my confidence hit the floor. But something else caught my attention. I wasn't actually standing on some random stoop. In fact, I was in front of the Fountain House! 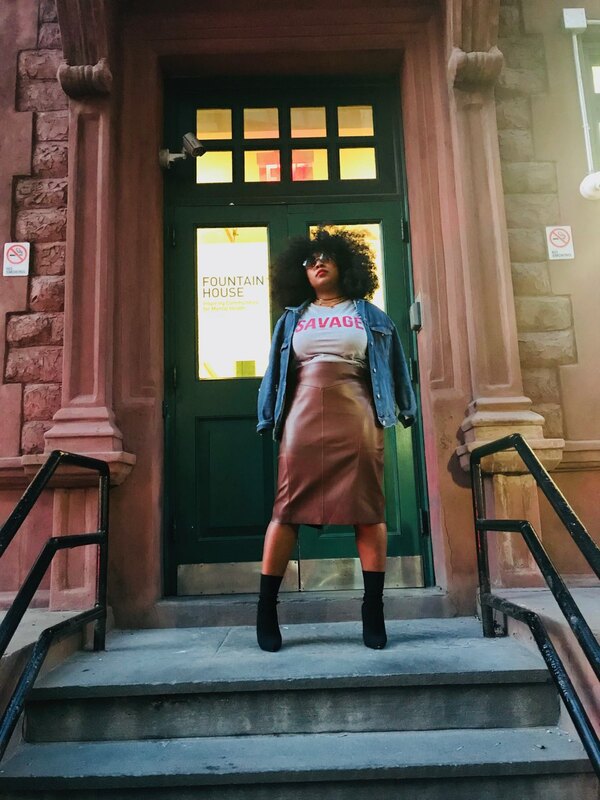 The Fountain House is a Non-Profit organization dedicated to the "recovery of men and women with illness by providing opportunities to live, work and learn". Wowwwwwwwwwww.. As The Stylish Ego, my focus is toward mental health but with a fashion twist. While body shaming may not be considered a mental illness, it can lead to it. And this moment became a reminder of my goals. Girl, I can't believe I body shamed myself. Nonetheless, this experience made me refocus. I am determined to dedicate myself to you guys. I am never going to give up. I am going to keep pushing and keep moving forward. I hope that by sharing my experience, you too can wake up and realize that you are where you are for a reason. Nothing is ever done by mistake. Even if it's not where you thought you wanted to be or do, there's a purpose for your presence. In the meantime, don't focus too hard on not getting where you're going, but find a way to make something happen right where you are.